Traveling to Madagascar? This can be the right spot on the internet to locate places to swim in Madagascar. Every day you will be not swimming you're losing precious time in improving your skills to be a better swimmer! No even more excuses! Uncover your nearest Madagascar Swimming Pool and tell us how it went. Are you on holiday and would like to keep fit and healthful? 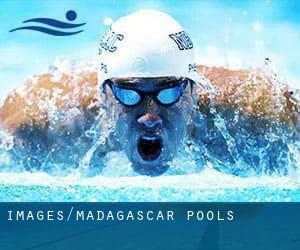 Swimia.com delivers you the easy and quickest strategy to find Aquagym in Madagascar near your present location. For Madagascar and its vicinity, we're showing you all the registered pools, some of them have no GPS coordinates and cannot be found on the map at the map. 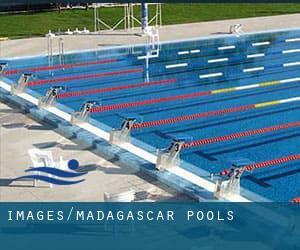 If you happen to be looking for Madagascar Pools, it's great to know numerous of them belong to gyms or sports centers which also deliver lessons. Get informed by calling the premises. We in all probability do not know all of the Pools in Madagascar. Are you missing any? Contact us!. Not all countries would be the exact same, and swimming rules and regulations are changing from one country towards the other. So, if this is your very first time looking for Madagascar Pools, be sure you call the premises before you drop by. One in the benefits of outdoor swimming in Madagascar will be the possibility to sunbathe throughout the summer time season. Taking it with extra care, sunbathing is wholesome because introduces Vitamin D into the body, so the ideal option seems to be switching amongst indoor and outdoor pools depending on the season. Let us tell you a secret to switch off whilst you happen to be in Fianarantsoa: just select a Swimming Pool in Fianarantsoa and plunge into the water! There's no alot more efficient method. It's hard to visit Madagascar with out dropping by Mahajanga (with 154.657 residents). Currently Swimia is showing you all of the Pool in Mahajanga and the closest pools located in its vicinity. Whereas Toamasina is one of the six most populous cities in Madagascar with almost 206.373 residents, you shouldn't miss that one if you're going to Madagascar. Holding an estimated population of 82.937, Antsiranana is among the most important cities in Madagascar. Check all of the Pool in Antsiranana and its surrounding region. Without a shadow of a doubt, swimming in Antananarivo will be the very best option to unwind immediately after work. Take a couple of minutes to browse Swimia's catalog to find a Pool in Antananarivo. Swimming can be a excellent idea to keep your body active throughout your visit to Toliara (Madagascar), or perhaps if you're a local. Swimia helps you to find your closest Swimming Pool in Toliara. Updated on 2019 La Corniche , Boulevard Marcoz , Mahajanga (Postal Code: 401). This sports center offers 33 meters, Outdoors. Contact knowledge for this Swimming Pool such as phone number and email address are number.